I’ve run into a bit of a conundrum when discussing I Have Live a Thousand Years to friends. I get very excited talking about the company, but I often lose them a bit when I explain that our production is about the Holocaust. “Isn’t that depressing?” They ask. 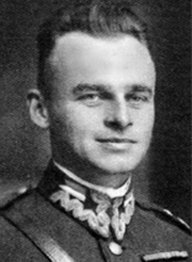 One of the Holocaust’s unsung heroes: Witold Pilecki was voluntarily imprisoned for 3 years in a concentration camp to gain intelligence about the camps for the Allies. The Holocaust is inarguably one of the greatest tragedies of the modern age, but for every tale of incredible horror, there is an equally incredible tale of heroism. I recently came across one survivor’s incredible story and his cunning and courage had me floored the entire time. If you have a few minutes, you have to listen to how he successfully escaped from the concentration camps…twice. It’s unbelievable. I think that people often get bogged down when faced with situations as terrible and terrifying as the Holocaust, and often believe that they are too small to change anything in something as huge as say, the Nazi movement. What I love about Livia Bitton-Jackon’s account is the incredible thread of hope and compassion that she sustains throughout her ordeal. Bitton-Jackson, known as Ellie in her memoir, survives thanks to incredibly small acts of compassion, but those small acts often save her life. It is as simple as a Nazi guard not reporting her when she is visited by her neighbors, of fellow Jewish prisoners risking their lives to move Ellie’s mother out of the infirmary before she was scheduled to be killed, or even the Angel of Death himself, Josef Mengele, telling Ellie to lie about her age when she steps into Auschwitz (starting next week I’ll start a brief Cliff Notes version of the book so you can follow along!). Many of these acts you can’t even really call kindnesses, such as a guard nearly beating her to death instead of executing her, but that fraction of an ounce of mercy vouchsafes her another day of life. Yes, her story is still a terrifying account of the evil of mankind, but also of the incredible strength of even the tiniest doses of human compassion. It is so humbling to work with this material and the irrepressible hope of these people even as they systematically murdered. It is also inspiring to see that no act of kindness, of compassion is useless. Ellie’s proves that even the tiniest of gestures can mean the difference between life and death, between hope and despair. The dancers are pretty inspiring, too! We can turn away from images of cruelty—and it is natural to do so. But it is only by facing the truth of what happened then that we can confront what is happening now, and what will happen in the future. Stretch dancers discussing the Holocaust. A few weeks ago, Lyndell lead a history session to help educate the company about WWII, the Holocaust, and dispelling some of the myths about the people involved. 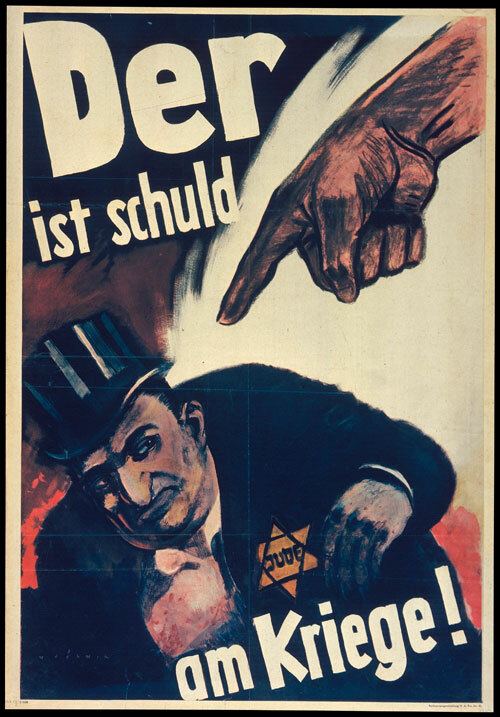 What struck me the most from our discussion was when I heard that Hitler learned to read from anti-Semitic pamphlets. I can’t help but wonder: What if the first things that Hitler had read hadn’t been couched in ignorance and hate? What if he had read about new technology, or music, or even something as mundane as farming? I’m sure it took more than a few pamphlets to lead him down the dark road to the Holocaust, but I find it significant and tragically ironic that the materials he used to educate himself were based in falsehoods and generalizations. Those pamphlets were not the cause of the Holocaust and the terror visited on those involved, but they were the first step towards genocide. When we talk about the evils of the Holocaust, we often focus on hatred and racism as its strongest factors. For me, however, I see another theme that runs through the history of WWII: ignorance. I was particularly struck by this while reading I Have Lived a Thousand Years. 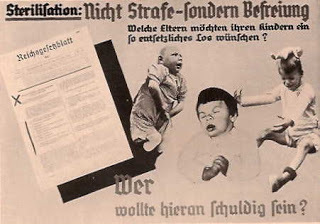 Part of the motivation for eliminating the Jews was the German obsession with eugenics, the idea of breeding out undesirable traits. 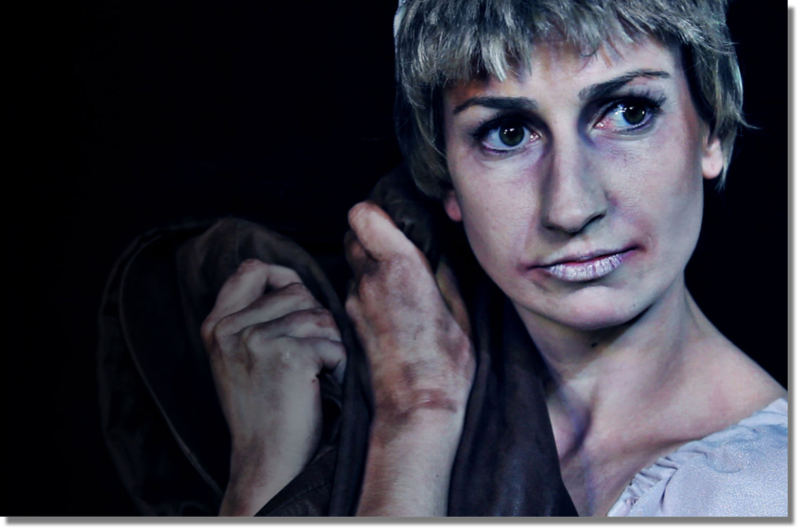 For Germans during this time, blonde hair and blue eyes signified a superior human being. Genocide does not begin with burning bodies, but with burning books. Those at the head of these murders often try to hide that the victims are people just like us, despite different coloring, religion, or anything else that pseudo-science may try to classify. I truly believe that knowledge is our greatest shield against such depravity, and that ignorance is evil’s strongest weapon. This is why I believe so strongly in Lyndell’s vision for our production of I Have Lived a Thousand Years. By breathing life into the very human lives the passed through those dark gates, we can take one step towards combating that ignorance and prove that any tolerance of hate is dangerous. The next world leaders are sitting in classrooms right now. What are we teaching them? Are we teaching them to hate, as Hitler learned? Or are we teaching them the bravery to face the truth, and the courage to do something about it? 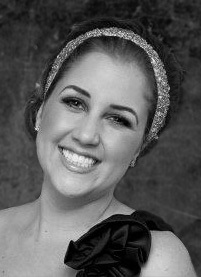 Stretch Dance Co.’s makeup designer Brittany Vardakas has recently returned from Israel. Read about her experiences in Jerusalem and the Holocaust History Museum. I feel as if I have just returned from another world; a place where the spirit of hardship and suffering still lingers, and yet a feeling of faith somehow trumps all the pain. 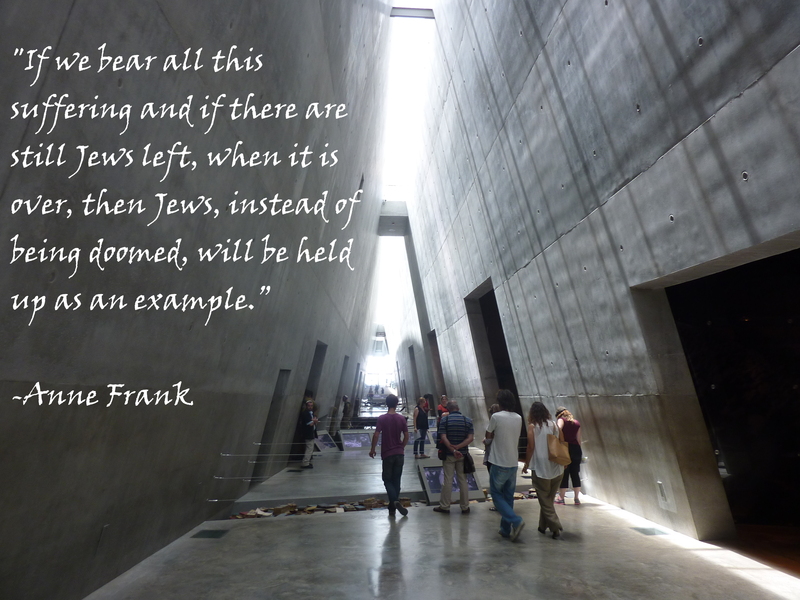 I had the opportunity to visit the Holocaust Museum in Jerusalem, Israel. You enter the museum by walking down a small hill where a video plays of Jews living a normal life, doing daily duties, people shopping, and children playing. As you stop to watch the images flash by, you find yourself getting more involved. The change happens so gradually that you don’t spot what’s wrong at first. Shops start to close down, streets look less busy, and you see more people sleeping outside and begging for food. Just before the video goes to blank, you see them: the Nazis. You’ve been so involved in the video that you didn’t realize that you’re in a triangle shaped building that zigzags through till the end. You feel trapped; the only way out is to walk all the way through. During your walk, you start with the history of Hitler. You see the tools of the trade of genocide: photos are posted everywhere, there are videos playing and displays of clothing, books, and propaganda, even hair samples that they would use to prove that you were a Jew. You feel hatred, but it is the small things, the normal things that hit you the hardest. You see children’s toys, books, bikes, and clothing while you look at photos of tiny faces, as lost to us now as their toys were to them. Your heart grows heavy. You think, why? The worst for me was when I had to walk over the shoes that were collected from the prisoners before they entered a concentration camp. It’s the feeling of losing something so simple that we take for granted everyday. A cattle car that was used to transport Jews to the concentration camps. The last room you enter is filled with black books containing the names of the victims. There are so many books, but some have many blank pages as well, as they are still trying to get all the names of the victims. At this point you’re exhausted. You think that nothing can redeem, can ease the suffering of those people. You can’t even begin to put yourself in their footsteps. What it could have been like. How much pain they went through each day. And yet I have seen Orthodox men and women in their daily lives; walking around, praying, and playing with their children. I wonder how many of these people are descendants of that tragedy. Maybe some of their parents and grandparents had shoes in that pile, maybe their sister left a toy in that display. Despite having their hair cut off, being stripped of their clothing, being stripped of their humanity, these people have never lost sight of God. Their faith is something so beautiful and unbreakable. Their love for God is out of this world. This trip has not yet set in with me yet. Trying to explain what I saw and what I experienced is still hard because it was so overwhelming. My life has been changed. 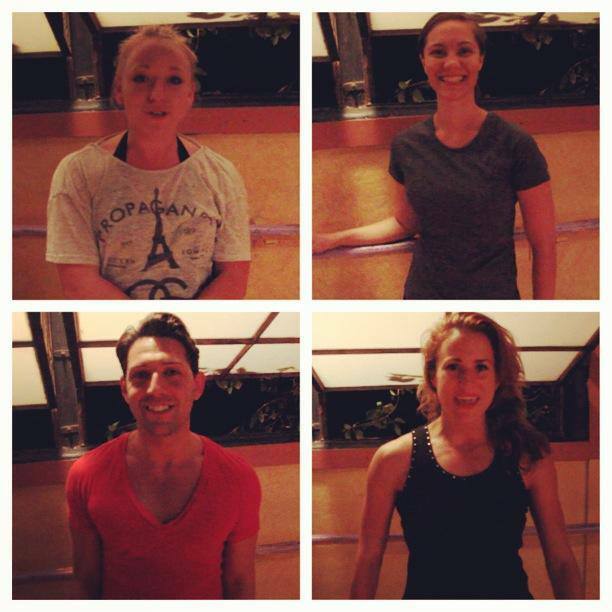 Hello and welcome to Stretch Dance Co.’s blog! 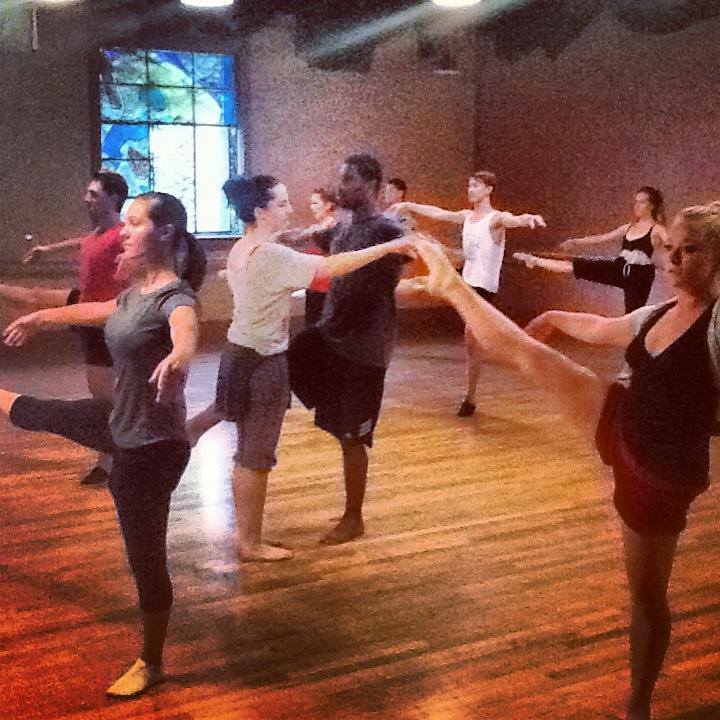 While you’re waiting for this week’s amazing video, I’ll be satisfying your curiosity about the latest Stretch Dance Co. news, the dancers, the rehearsal process, and even a little bit of history. That’s me at one of Stretch Dance’s rehearsals! Who am I? 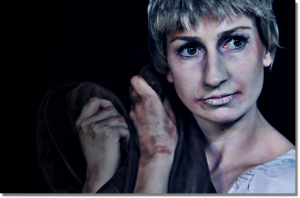 I’m Laura Rensing, one of the dancers in I Have Lived a Thousand Years. This is my first Stretch production, but I’ve been dancing since I was three years old! These days I perform a lot of musical theater, but I am thrilled to, ahem, stretch my boundaries. You can probably spot me in some of Matt’s photos of the rehearsal process (I’m usually the one with flowers in my hair!). You may be wondering why I’m writing this blog in place of our fearless leader, Lyndell Higgins, Executive Artistic Director of Stretch Dance Co. Lyndell has been developing this production for the past three years and can probably recite the book backwards, to say nothing of her knowledge of the history surrounding it. For me, like many of us, the Holocaust dredges up memories of dusty textbooks and black-and-white photos of skeletal prisoners, a frozen image of history, an event relegated to the past tense. But the reality is that the ripples of the Holocaust touch the tragedies of today’s society. History books would say that genocide ended the day Auschwitz was liberated; reality proves otherwise. When we look at the Holocaust as history, we leave it there. In the concentration camps, Jews dehumanized and tattooed with serial numbers. We have given them new numbers in place of their names: statistics, casualties, facts, but we forget that over 11 million people lived and breathed, as well as died in the Holocaust. 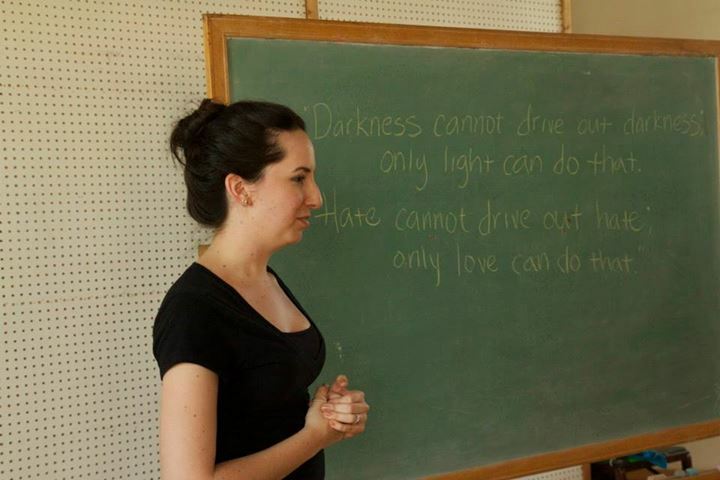 Lyndell shares words of wisdom from MLK. Lyndell, of course, knows this already. Her vision for I Have Lived a Thousand Years is not a judgment about what happened, but a timeless lesson about the incredible strength of human compassion that arises even in the midst of unimaginable cruelty. She has lived and breathed these lives working on this project, but I come with a new set of eyes, discovering new lessons even as you do. I hope that by sharing my discoveries with you, we can give these countless victims a legacy beyond the grim chambers of the concentration camps, and a brighter future for future generations.